The primary audience consists of investigators and academicians who mentor predoctoral trainees in all scientific disciplines. 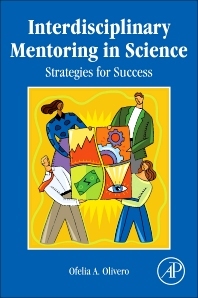 This book will also be useful for early career scientists and students who are looking for mentors, as well as senior researchers and current mentors who want to further develop their mentoring skills. Dr. Ofelia Olivero is both a talented scientist and a passionate mentor. 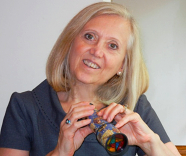 She has been extensively recognized for her scientific work, repeatedly invited as a lecturer and symposia chair, and has given numerous talks at many national and international meetings. Dr. Olivero has been part of editorial boards of national and international scientific journals. She has written book chapters, engaged in outstanding leadership activities and received several awards from scientific organizations. Dr. Olivero has been particularly awarded for Leading Diversity by the NCI Director and is also the Chair of the Mentoring Programs at scientific societies. Her dedication to empower and inspire young females to choose scientific careers was recognized by the US State Department in her selection to be part of a delegation of female scientists to visit Brazil and Colombia to favor the participation of women in science. She is the author and co-author of more than 70 scientific articles on carcinogenesis induced by antiretrovirals, commonly used for AIDS therapy and other toxicities derived from environmental mutagens. Dr. Olivero is a role model as a scientist and a mentor, and a very inspirational figure for young mentees.